PEAK's rainwear system offers quality that you can see and feel. All components are safe, durable and attractive. Outlets are manufactured with thick, high quality aluminum - a strong, durable and maintenance-free material which is ideal for the exterior of the home. Premium gutter protection system for 4" gutters. Stops leaves and debris from clogging gutters. Easy to install on new or existing gutters. PEAK's rainwear system offers quality that you can see and feel. All components are safe, durable and attractive. Gutters are manufactured with thick, high quality aluminum - a strong, durable and maintenance-free material which is ideal for the exterior of the home. Peak's Gutter Hangers attach aluminum gutters to fascia boards. Pre-installed screws poised in hanger for easy installation. 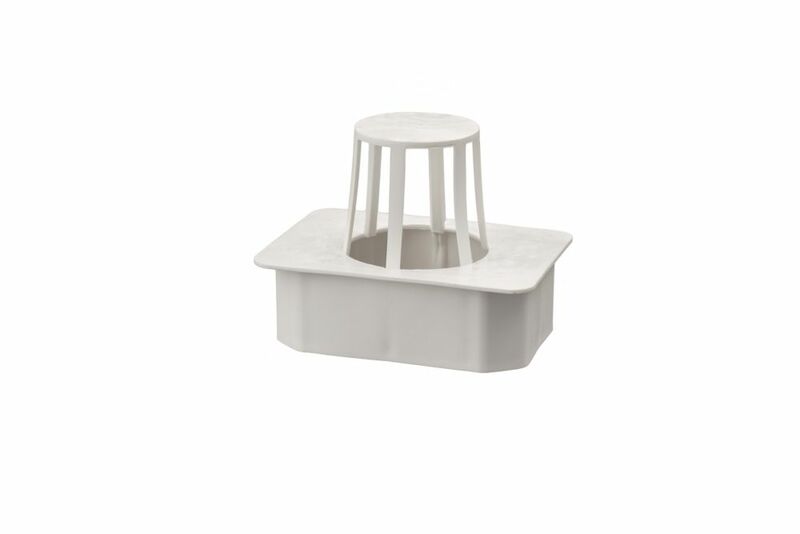 Outlet, 2 Inch x 3 Inch - White PEAK's rainwear system offers quality that you can see and feel. All components are safe, durable and attractive. Outlets are manufactured with thick, high quality aluminum - a strong, durable and maintenance-free material which is ideal for the exterior of the home. Outlet, 2 Inch x 3 Inch - White is rated 1.0 out of 5 by 1. Rated 1 out of 5 by Waynbrit from Poor weathering Have to replace after about four years when the plastic became brittle and fell apart. This left the downspout dangling in the air. A heavy rain caused flooding in my house subsequently because waher was not properly diverted.